Abiogenesis, Atheism, Bogus Science, Cosmology, Evolutionism, Faith, Intelligent Design, Laws of Nature, Liberate your Mind!, Materialism, Miracles, Physics, Revelation, Theism, There is a God! My wife bought my son a pair of Robo-fish for the bath. They are quite incredibly fish-like… swimming about just like Goldfish…Looking at them I realised that it would be easier for nature to make those robofish than to make a single celled protozoa… and yet are our oceans filled with clock work fish???? No! The only way a Robo fish has managed to become a reality… in this type of universe… is via Intelligent design and manipulation of Matter and physics and chemistry. This is because the bind forces of nature cant make complex things like Robo fish… or single celled organisms! Thus the theory of Naturalistic Abiogenesis and evolution are 100% falsified. They cannot account for the existence of Fish … robotic or otherwise. In the 2oth century it was argued by Evolutionists that these ancient fish were ‘primitive’ and that they had died out ‘millions of years ago’…. how embarrassing for them however that they were discovered to be alive and well… and *unchanged* despite the tens of millions of years these so-called ‘scientists’ have dated their fossils. These Fish are part of a massive number of creatures, and plants that have been called ‘living fossils’ because they are easily identifiable as being living representatives of Fossils said to be sometimes hundreds of millions of years old. In complete contradiction to the theory of Evolution Their genetic integrity has remained intact… despite exposure to the elements and their struggle for survival through the eons that are supposed to have elapsed. 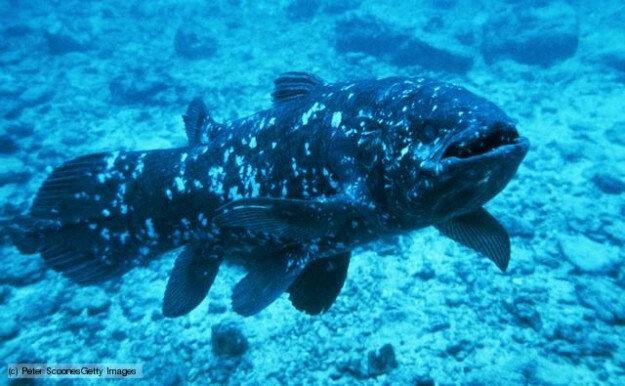 Wikipedia says… “Coelacanths belong to the subclass Actinistia, a group of lobed-finned fish related to lungfish and certain extinct Devonian fish such as osteolepiforms, porolepiforms, rhizodonts, and Panderichthys. 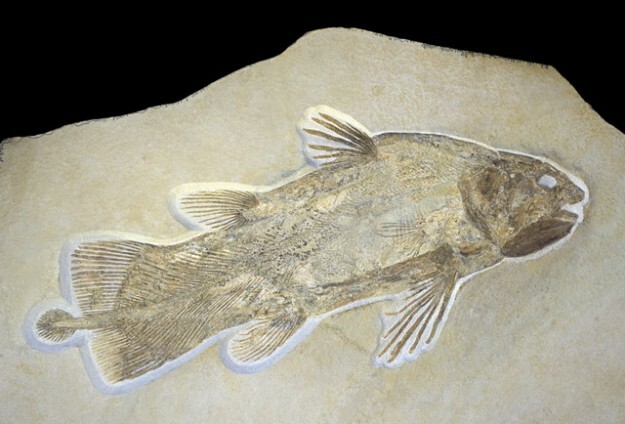 Coelacanths were thought to have become extinct in the Late Cretaceous, around 66 million years ago, but were rediscovered in 1938 off the coast of South Africa. All this exposes the great fallacy and absurdity of the pseudo-scientific theory of Evolution, and the *Truthfulness* of the Biblical principle of *Kind after its kind* clearly enunciated in the Book of Genesis. And it should not be any surprise to know that *Darwin was completely ignorant* of Genetics… the true science of heredity… which was discovered by one of his contemporaries….a Christian Monk named Geggor Mendel… yet because the world was too busy following Darwin… that for decades they did not grasp the Great truths that Mendel had discovered that are today known as ‘Mendel’s Law’. This is why there is no such thing as ‘Darwins Law’… and why today… despite 160 years … Darwins ideas are still only defined as being ‘a theory’… *Not a fact*… and indeed with the advance of Science… such as the electron Microscope… Scientists have discovered just how fantastically complex living things really are… even the single celled organism is fantastically complex… and smacks of Design… Nanno- Technology! The Myth of the spontaneous generation and evolution of ‘the simple cell’ is today *Far harder* to believe than it was for the scientists of Darwin’s day because the Facts have gotten harder to reconcile with his theory… not easier. Why then has not the Evolution been abandoned? Simply because of the fanatical Atheism and absolute hatred of the only rational and alternative interpretation that is in harmony with the evidence… That Living this … look designed…. because they are designed… By God Almighty… exactly as the Bible says. It was the realisation that Evolution was a gigantic lie… and that The Bible was true… scientifically speaking… that converted me from a militant Atheist to a Bible believing Christian over 30 years ago… and in that time, I have studied all the so-called arguements that are put up to prove the Bible wrong… and they *all fail*. The word of God remains sure… like a Rock. Previous PostThe banana. The atheist’s nightmare.Next PostThe half-banana. The theist’s nightmare.